5.2 Earthquake hits the Bougainville Region, Papua New Guinea. 5.1 Earthquake hits off the west coast of northern Sumatra. 5.0 Earthquake hits the southern Mid-Atlantic Ridge. Tropical cyclone Jack remains located approximately 380 nm west-southwest of Cocos Islands, Australia over open waters. Philippines – LPA threatens east Visayas; potential cyclone approaches Philippines Area of Responsibility. State weather agency PAGASA is now tracking two weather disturbances, including a low-pressure area that may trigger flash floods and landslides. New Zealand – Thousands still without power. Power remains out to a number of homes in Auckland and on the South Island’s West Coast, days after being stung by Cyclone Ita’s tail. Big meteorite strikes in Russia – again! Unlike the celestial object that exploded over the town of Chelyabinsk last year, this recent one injured no one on the ground according to local reports. Video has emerged of a huge meteorite streaking through the sky near the northern Russian city of Murmansk. The moment was captured by many residents as the white-blue light of the meteorite moved through the sky in the early hours of Saturday morning. Some 500 meteorites reach Earth each year, though many are small and are not spotted. Sixteen dengue fever cases have been confirmed and another nine suspected in the city of Pemba, the capital of the northern Cabo Delgado Province in the southeastern African country of Mozambique. 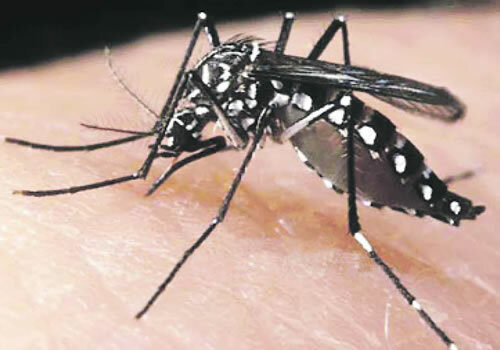 Health officials attribute the outbreak of the mosquito-borne viral disease to the heavy rains in the province in recent months while people already carry the virus. Nigeria is in danger of Dengue fever outbreak, another deadly fever in the class of Ebola virus disease, said to be transmitted by two types of mosquitoes now rife in the country. Dr Adeniji, Director of World Health Organisation (WHO) National Polio Laboratory, Department of Virology, University of Ibadan (UI), named the mosquitoes as Aedes aegypti mosquito (yellow fever mosquitoes) and Aedes albopictusis (tiger mosquitoes), adding that the mosquitoes had been observed in Nigeria and that they spent their lifetime in or around homes. The expert said these mosquitoes, black and tiny, with white patches on it, look alike, adding that a recent case people thought was Ebola virus disease turned out be a case of Dengue fever. Fuego volcano (Guatemala): strong explosions, increase of activity. Activity at the volcano continues to be elevated and increased yesterday, prompting INSIVUMEH to issue a special bulletin yesterday, in which the agency warns that a possible new paroxysm could occur in the near future. The volcano observatory reported moderate to strong explosions with plumes up to 1 km height and drifting 12 km, causing ash falls ash on the villages Panimaché, Morelia, Santa Sofia and others. This activity was also accompanied by increased tremor. As of today, it has decreased again, but remains high, and the occurrence of another paroxysm is still a potential scenario. In this case, strong explosions and associated ash plum rising significantly more than 1-2 km above the summit, lava flows and potentially pyroclastic flows on the southern slopes could be expected. Dukono volcano (Halmahera, Indonesia) activity update Explosions that are strong enough to leave ash plumes visible on satellite data continue to occur almost every day. This morning, VAAC Darwin reported an ash plume at 8,000 ft (2.4 km) altitude. Merapi volcano (Central Java, Indonesia): powerful explosion yesterday morning A new explosion occurred at the volcano early yesterday morning (Sun, 20 April), at around 4:25 am local time. VAAC Darwin reported an ash plume rising to approx. 30-35,000 ft (9-11 km) altitude and drifting NWN, and raised the aviation alert level to red. VSI in turn has not changed the alert status (currently at 1, “normal”, out of 4) of the volcano because it seems that scientists think that the explosion was phreatic in nature, i.e. not caused by fresh magma, but interaction of penetrating (rain) water into the hot rocks in the upper conduit system of the volcano. No unusual seismic activity is currently detected at Merapi. The explosion was not observed during the nighttime, but heard in several kilometres distance away, and ash falls occurred in villages around the volcano, prompting residents to wear dust masks and clean up roofs and streets from ash.